Vera Beths was born in Haarlem, Holland. She received her first violin lessons from her father and completed her studies at the Conservatory in Amsterdam with Herman Krebbers. In 1969 she won the first prize at the Oskar Back Competition and in that same year she was awarded the Prix D'Exellence. Vera Beths has performed as a soloist with many orchestras throughout the world with conductors such as Bernard Haitink, Kiryll Kondrashin, Edo de Waart. She also plays baroque violin and has soloed with Frans Bruggen with several of his orchestra's, including the Orchestra of the 18th Century. She also worked with Jean Fournet, Lorin Maazel, Walter Susskind. As a chamber musician she founded, together with Anner Bijlsma and Jürgen Kussmaul, the successful chamber music group L’Archibudelli. Vera Beths has taught at the Royal Conservatory in The Hague since 1978. She plays a Stradivarius built in 1727. Born in Hannover, Volker Jacobsen first studied with Christian Pohl and then with Barbara Westphal at the Musikhochschule in Lübeck. His chamber music mentors and teachers include members of the Emerson Quartet, the Juilliard Quartet and the Lasalle Quartet. He founded the Artemis Quartet in 1989, an ensemble which reached an international stature by winning First Prizes at the “Deutscher Musikwettbewerb” in 1995, the ARD Competition in Munich in 1996 and soon thereafter First Prize at the Premio Borciani in Reggio Emilia. He has intensively performed in the most important festivals of Europe, United States, South America, Japan and Australia. Volker Jacobsen was Professor at the Universität der Künste in Berlin and Visiting Professor at the Chapelle Reine Elisabeth in Brussels. Following his years with the quartet, Volker Jacobsen became Viola Professor at the Hochschule für Musik, Theater und Medien in Hannover. He is widely known and appreciated as a teacher and is a very sought after chamber musician; his chamber music partners include Lars Vogt, Matthias Kirschnereit, Christian Tetzlaff, Isabelle Faust, Daniel Gaede, Isabelle van Keulen, Gustav Rivinius, Sharon Kam. 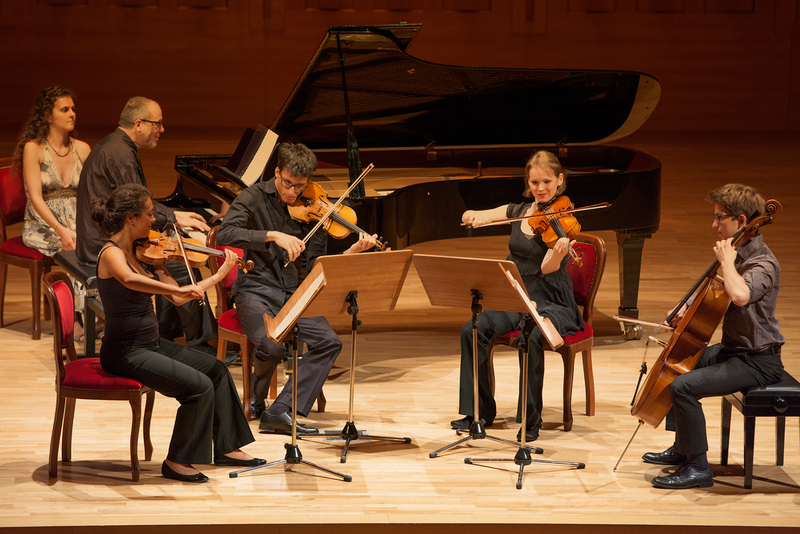 He collaborates with the Bartholdy Quintet, the Humboldt Trio and the MAX Piano Quartet. Julian’s solo career was launched after he won the prestigious ARD Musikwettbewerb in 2010. Since then, he has soloed with the Gewandhausorchester Leipzig, the Symphonieorchester des Bayerischen Rundfunks, the Royal Philharmonic Orchestra, the Orchestre de Paris, the Rotterdam Philharmonic Orchestra and the St. Petersburg Philharmonic. He’s worked with the conductors Christoph Eschenbach, Sir Roger Norrington, Valery Gergiev, Jakub Hrůša, Mario Venzago, Fabien Gabel, John Storgårds, Lahav Shani, Antony Hermus, Christian Zacharias and Michael Sanderling. His chamber music partners include Janine Jansen, Christian Tetzlaff, Karen Gomyo, Antje Weithaas, Renaud Capuçon, Veronika Eberle, Vilde Frang, Antoine Tamestit, Lars Vogt, Elisabeth Leonskaja, Paul Rivinius, Denis Kozhukhin, the Modigliani, Armida and Ébène quartets. He studied with Ulrich Voss, Gustav Rivinius, Boris Pergamenschikow, Heinrich Schiff and Antje Weithaas. Now he is a teacher too, at the Hochschule für Musik und Theater in Munich. This season, his solo career is both expanding and putting down roots. He will make his American debut with the Indianapolis Symphony Orchestra, then solo with the Louisiana Philharmonic Orchestra. He’ll return to Amsterdam to play at the Concertgebouw and to Vienna to perform at the Konzerthaus. Chamber music will remain a fertile soil for his ideas. In the 2018-19 season he’ll collaborate with Tabea Zimmermann, the Armida Quartett, Denis Kozhukhin, Paul Rivinius, Tobias Feldmann, Lise Berthaud and others.